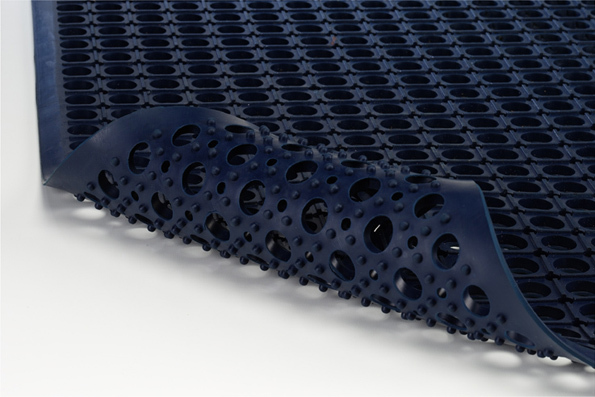 Uniquely constructed with durability and flexibility in mind, the Light Duty Ring Mat is ideal for workstations, laboratories, kitchens, and bars. It is compounded to allow for maximum anti-fatigue features, while reducing noise levels. This mat is our #1 seller! Molded, beveled edges on all four sides, allow for easy cart access and added safety precautions. 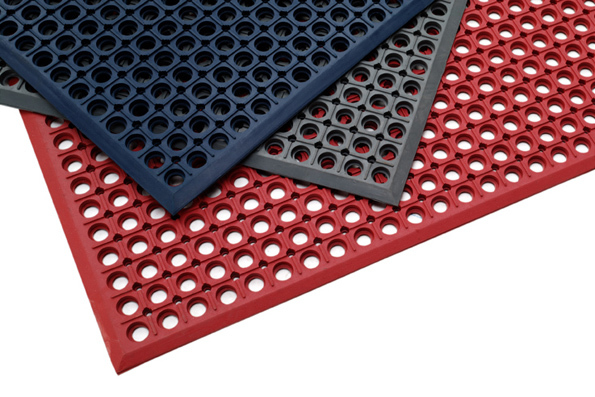 Drainage holes allow for fluids and debris to filter through easily, creating a dry and comfortable workspace. Also available in an Economy Mat! 36" x 36" x 1/2" [W x L x H]14 lbs. 36" x 60" x 1/2" [W x L x H]26 lbs. 36" x 120" x 1/2" [W x L x H]63 lbs. Economy Mat 36" x 60" x 1/2" [W x L x H] (Black only)20 lbs.